Last September Vanuatu launched a Dunkirk-style evacuation of thousands of people on the northern island of Ambae as a flotilla of boats rescued islanders from the erupting volcano and now Vanuatu's Manaro volcano has again awoken. A team of vulcanologists has trekked to the summit of Vanuatu's Manaro volcano and says the landscape has been transformed by the latest ash fall. It comes amid reports of heavy ash fall on the north and east of Ambae Island over the past week, though the Geohazards Department is maintaining the threat level at two. The Daily Post newspaper reports all roads to West Ambae are cut and massive mudflows have washed away the roads in two locations. It means the entire west side of the island is accessible only by sea or by air. The vulcanologists trekked for eight hours and say there are widespread damage and massive disruption to the local population. 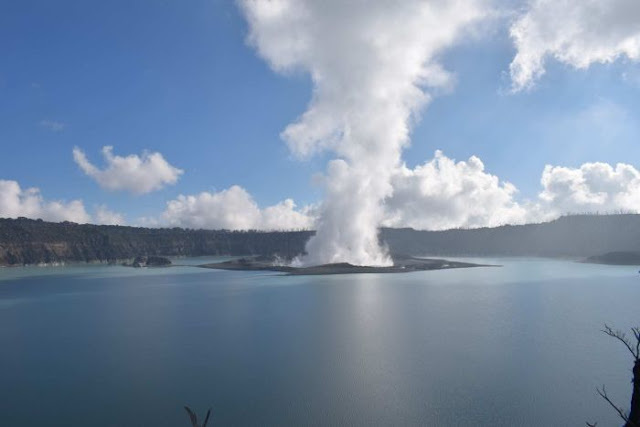 Meanwhile, 17 leaders on Ambae have sent a courier to the government calling on it to minimise the suffering the ongoing eruption is causing their sons and daughters who have been relocated to schools on Maewo and Santo Islands. They said the government has to consult with them on whether or not to relocate people.